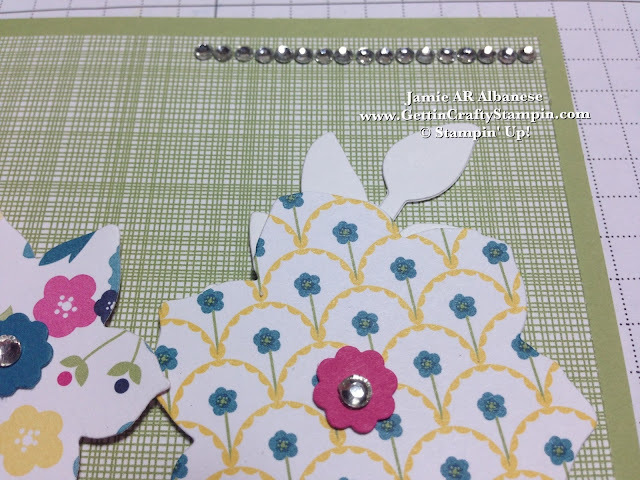 I am having FUN with this New Bright and Bold Patterned Paper... Gingham Garden Designer Series Paper (#129310) for a different spin on this paper, design and card... what do you think?? A NEW Color in our Subtles Collection, Pear Pizzazz (#131201) makes a strong, natural base. I was inspired by my MDS Laptop Sleeve... see my inspiration below! 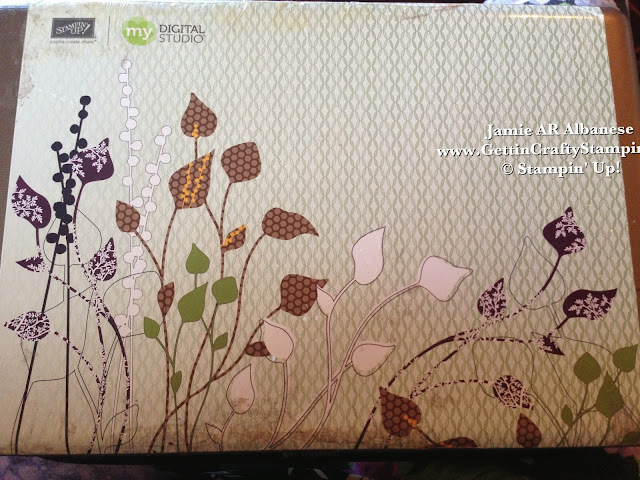 This fun sleeve is a mixture of patterns and natural style.. 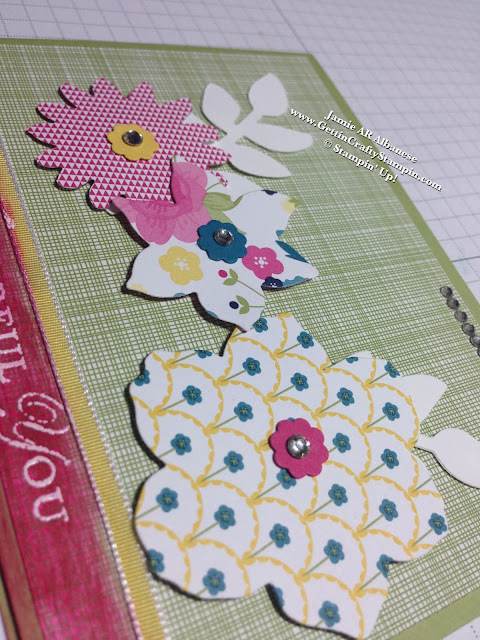 I LOVE this pretty mix of patterns... and I couldn't resist taking our New Gingham Garden Designer Series Paper (#129310) and creating something similar. My Big Shot (#113439), Our Secret Garden Framelits (#129372) allow for these shapes - they, too, coordinate with our Secret Garden stamp set (#131940)!! I love when coordination is so easy! Pops of Color, Pattern, Bling... I really like how it came all together!! Loving Thoughts (#125845) come with this card... this Loving Thoughts stamp set is one of my favorite sets! 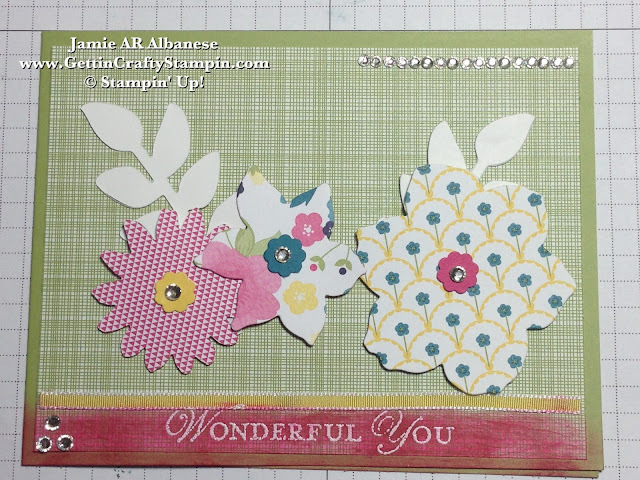 Embossing with our Heat Tool/Gun (#129053) and our White Embossing powder (#109132) the sentiment is sweet. On the Pear Pizzazz Printed page - it was cute but white on this background disappeared a little. I then took our Stampin' Sponge (#101610) and our Melon Mambo ink (#126948) the words now pop while the paper's patter still peeks through! All of these patterns (and more) from the same paper packet?!?! YES!! 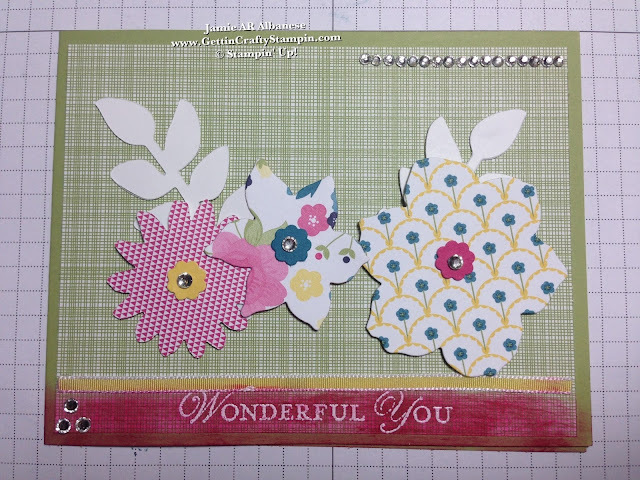 Our Double Sided Designer Series Paper really allows for a ton of crafting!! Add wealth and sparkle with our adhesive backed Rhinestone Basic Jewels (#119246)... the three strips of connected rhinestones really allow for a fun 'tennis bracelet' feel while the separate ones are perfect solo accents, like in these flowers! 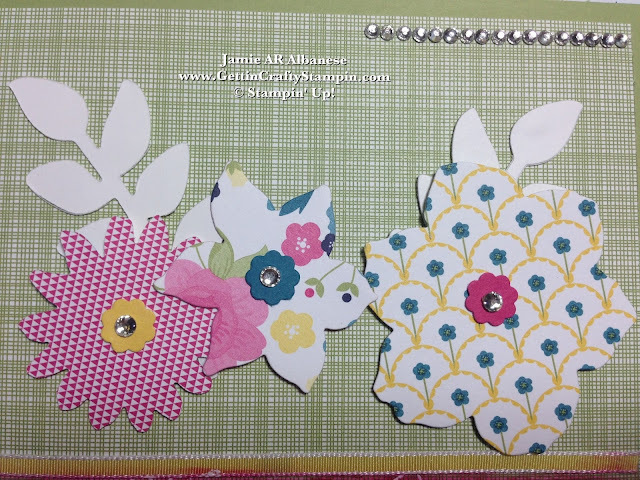 Accenting the flowers with a pop of color... our Itty Bitty Shapes Punch Pack (#118309) has these cute tiny trio of punches... the little scalloped/flower punch and our Melon Mambo (#115320), Daffodil Delight (#119683) and Island Indigo (#122923) card stocks add a dimension and break up of the patterns! Wonderful You is how anyone who receives this card will feel!! Send some love and long-lasting cheer with a home-made but awesome-looking card! 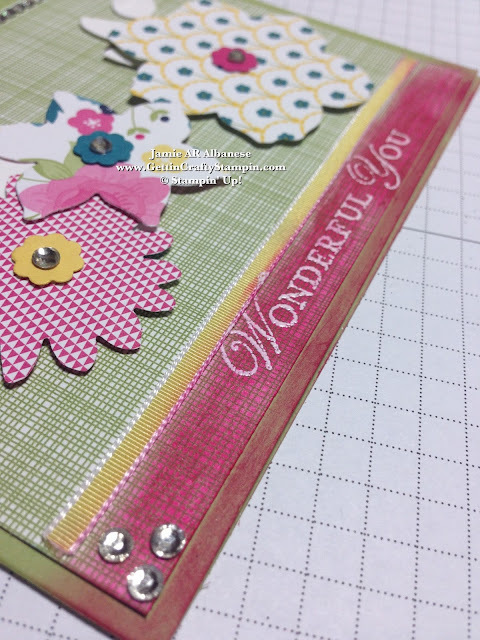 Have YOU seen our New, Wow-tastic papers, colors, tools, stamps, accessories and more?!?! CLICK HERE, look at the New Catalog On-Line 24/7/365! Leave me a comment, let me know what you think!! Share this (and me) with those you love! Pin it, Facebook, Tweet, Email, LinkedIn, Instagram and see my YouTube channel!! Remember, too, that you can follow me on any/all of those channels!! Join me in this funky walk we call life!